We were supposed to be browsing the menu, but instead my eyes surveyed the surrounding area. I noticed a young waitress being chewed out by a table of disgruntles patrons. Poor thing, I thought to myself, I wondered what she did to make them so angry. I went back to browsing my menu and a short time later, the same waitress appeared at our table. She was trying to put on a happy face, but I could tell, she had been crying moments before. She looked discouraged and defeated, probably due to what I just had witnessed. My heart went out to her. It didn’t take much for me to realize she needed some encouragement. I knew she was having a tough day, anyone who looked at her could see it, even if they hadn’t witnessed the scene I did. In the time she was gone getting our drinks, the other table hastily packed up and left. Carrying several boxes of leftovers. The immediate thought came to me that they had just stiffed the waitress. You know, they did the old “dine-and-dash.” I was shocked, no, they couldn’t have, there’s no way, this is an established restaurant chain, surely someone wouldn’t just walk away without paying their bill. Our waitress returned to the table, set our drinks down and went to the other table and picked up the leather folder that held their check. She immediately turned around and bolted for the front of the restaurant. “Yep,” I thought to myself, “they must not have paid their bill.” I was appalled. As I talked with my daughter about the situation we had just witnessed, our hearts hurt for our young waitress. My daughter leaned across the table and whispered, “Mom, she needs encouragement. We have to cheer her up!” I knew she was right, but what? How? What could we do or say that would bless and encourage this young woman? I knew I couldn’t pay their tab, which was probably well over $100 for the amount of people and extra food they carried out. I began to silently pray and ask the Lord what I could say or do to help turn around this young waitress’s day. 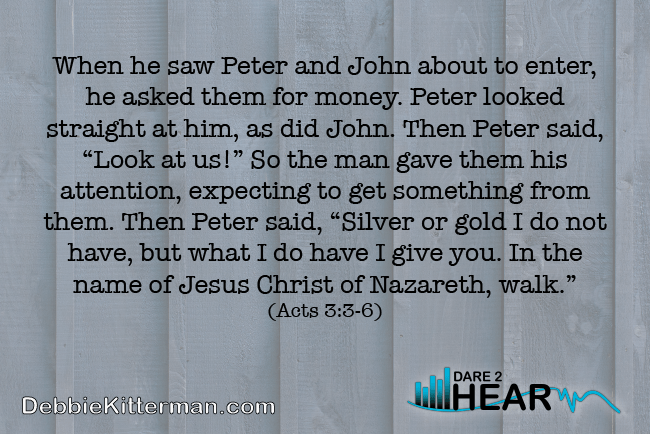 Immediately I was reminded of Peter and John in the book of Acts, when they were heading to the temple. Have you ever been in a situation where something happens to someone and you want to encourage them? Have you ever observed someone having a “bad day” and wanted to encourage them? Have you ever found yourself in a situation where you knew you need to say something, or do something? But had no idea what or how to make things better? Here’s the thing, we may not know what to do or say in situations, but God does! Yes, God knows exactly what we need before we need it, and He knows what others need too. Jesus modeled for us what it meant to be in relationship with the Father and know what to do or say to minister to those around us. Jesus said, “I only do and say what My Father does and says.” (See John 5:19; 8:28; 12:49–50). 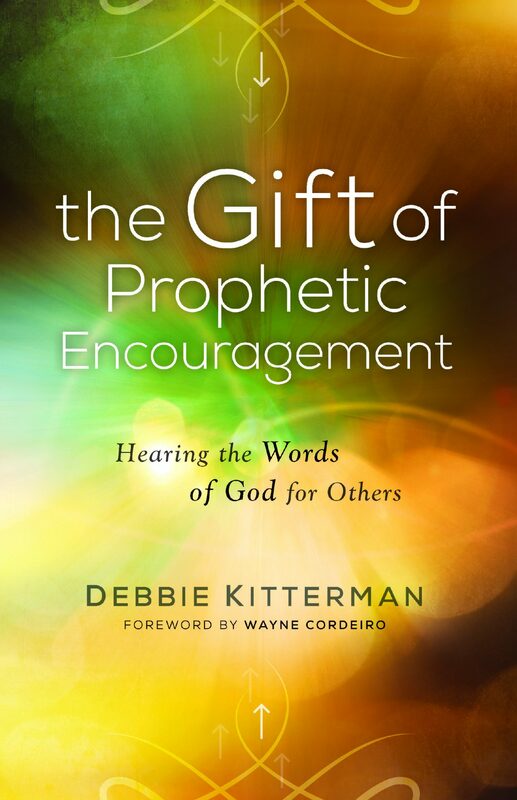 That’s why I wrote the book, The Gift of Prophetic Encouragement: Hearing the Words of God for Others. I accepted Jesus as my Lord and Savior when I was a child, yet, it wasn’t until I was in my mid-twenties that I fully understood the depth of relationship Jesus modeled with His Father. I was taught about the fruit of the Spirit but lacked teaching around the gifts of the Spirit. You see, I didn’t understand that God longs to speak to us, His children. Real relationships involve two-way conversations. His word tells us that “His sheep hear and know His voice.” (John 10). As we read Scripture, He speaks to us. As we pray, He reminds us of things. When we have conversations with others, God ideas pop into our mind. This is part of prophetic encouragement. Will you please consider joining my launch team? Yes, You! One way to fight against depression, hopelessness, discouragement and despair is to speak words of life, hope and encouragement to those who are fighting against these things. 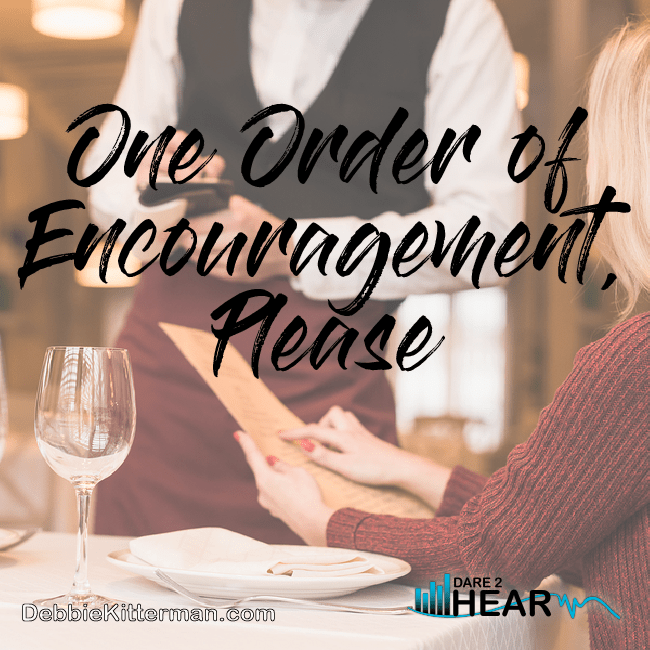 As I prayed that day, I felt like God gave me words of prophetic encouragement to speak over our waitress. Words I couldn’t have come up with on my own. But God knew what she needed. He knew she needed comfort and an extra dose of courage to face the rest of her day. She went away blessed, knowing that God was real and that He knew exactly who she was and what she was going through. RECEIVE lots of freebies and gifts from Debbie. I know the word prophetic has a lot of strong opinions associate with it. 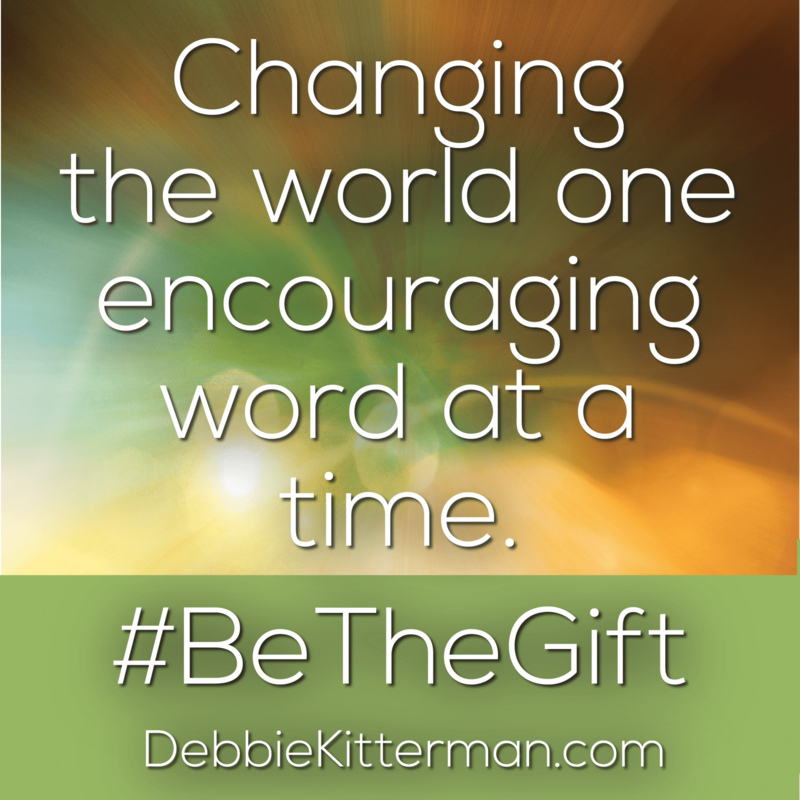 There has been a lot of misuse and abuse around this particular word and gift. Many hear the word prophetic and automatically think of Old Testament prophets, fore-telling, predicting the future, or apocalyptic events. When I use the words prophetic encouragement, I am using it the context of 1 Corinthians 14:1-5. The spiritual gift of prophecy as Scripture clearly states is spiritual gift for ALL. It is for encouraging, comforting and strengthening others. Preorder your copy today and claim your FREE bonuses. Again, also please consider signing up for my launch team here! Space is limited, by the number of physical copies my publisher, Chosen Books can send, so don’t delay. I promise we will have some amazing summer fun! Plus, I have some great bonus gifts for my launch team members. Please make sure to visit the post before yours and share some comment love as well as one other post of your choice. In Order to be featured you must follow rule #2 below. Last weeks Top Clicked Post was from Beth Steffaniak and I understand why. Beth writes over at Messy Marriage click on the picture below to read her post. If you haven’t read Beth’s post and your in a relationship, you should check it out. When I read her opening line below, I immediately knew why so many of you had clicked on this post to read more. I think the points she makes in this article can extend to our other relationships as well. Beth opens her post with this: Do you ever feel like your mate is the devil—or is at least acting like one? Sadly, in the heat of conflicts in marriage, it’s easy to be confused about who the real Enemy is. Thank you for highlighting my post, Debbie! Your book sounds so intriguing! Whenever I’ve taken spiritual gift inventories, I’ve always scored high in prophecy. So your book sounds like something that I could really relate to and learn from. And I’ll be prayerfully considering joining your book launch, my friend. Praying that God blesses all that you do, my friend! I love how in tune you and your daughter were with the Holy Spirit! I hope the book launch goes well! Thank you Emily, I find that if I take time to pay attention, I can tune into the Spirit better, but sometimes I rush around and either miss or almost miss when the Spirit wants me to do something. I appreciate your well wishes about the book launch, truthfully its a tad overwhelming a times. Love this story you shared today! Encouraging one another, simply being kind, treating one another with respect, and being sensitive to the Holy Spirit are all such important things!! I’m glad that you were there to bring comfort to this waitress. I’m excited to read your book! I wish I could commit to the launch, but I have so much on my plate already, I fear I would not do a good job with it. But I definitely will purchase a copy!! As a former waitress, I can identify with your server. Thank you for giving her comfort and passing on God’s blessing. I am sure she appreciated it! Thanks, Lauren. I always look forward to daily opportunities to share His love with others… I just have to be careful to not be in a hurry that I miss out on those opportunities. Debbie, how sweet to have you and your daughter share that opportunity to minister to that young server. Your book sounds awesome. I’m on a couple of launch teams right now and said yes to a 3rd, so I’ll think about whether I can do this now. Blessings to you and on your book. I’m glad God put you in the restaurant that day! And that you were willing and intentional to give her the encouragement that she could use. Thanks for being a Kingdom-builder, Debbie. Sweet post Debbie, I love how you highlighted going to the Lord & listening to the Holy Spirit for His guidance in the situation. We need to do this with each & every situation, but alas we are works in progress & quite often act unwisely before we do. Debbie, this sounds like a wonderful book! I would love to join your launch team but I have not been very good at following through on some other launches. I’m still behind in reading some books. But I know the world needs more encouragers so I know your book is much needed! Blessings to you! I’m also your neighbor at the #BVNetworkParty. Thank you Gayl! I am so glad we are neighbors at #BVN and as you pray about being a part of the launch team and being able to follow through, just let me know. I understand how it can be difficult at times. Blessings – I appreciate you. What a great story about how encourage others and being kind. Those are things that we all need. Thanks for sharing with us. Thanks for hosting and I hope that you have a wonderful weekend. thanks Patrick! You are most welcome and praying you have a great weekend and I am sure you have a great adventure planned this weekend which you will write about soon! Looking forward to you sharing it. This is so beautiful! We are going through acts as a church right now. We just went over that verse!! It’s turned into many questions of what do we have to give? How can we bold and courageous with our faith? Truth be told, I have difficulty answering those questions. I can give kindness and grace…I try to, but when you don’t have an obvious gift to give it makes those types of questions more difficult to answer. I love your sweet heart of encouragement. I signed up for the FB group and thinking about the launch team. Thank you for sharing your wisdom and encouragement with us at #LiveLifeWell. It seems our culture has abandoned kindness and courtesy. It’s crucial that God’s people are different than the culture. You are so right, Elizabeth. We as God’s people must be different than the culture around us. We need to influence change, not let it influence us. Thanks for your comment. Thank you so much Kelly! I appreciate your prayers for the launch team and those God wants to be a part of it. That is my prayer as well. I am so glad I got a emphatic yes out of you when you were reading too! Yay. I am so happy to hear that when you studied this passage before God gave you a deeper revelation and understanding 🙂 I appreciate you and your encouragement. Thank you.